The Rainforest Alliance and Dreams Resorts! At Dreams® Resorts & Spas, we have great respect for the beautiful natural environments that we call home across Mexico and the Caribbean. We’re so honored to share these gorgeous destinations with our guests! In fact, many of our resorts undertake special programs and initiatives throughout the year to ensure that we’re preserving and protecting our earth and our communities. Today we’re excited to share with you how the Rainforest Alliance helps us to achieve these goals! Keep reading to learn more about our efforts to conserve our beautiful landscapes and communities! Sustainability is a team effort at Dreams Los Cabos Suites Golf Resort & Spa! Dreams Punta Cana Gives Back to the Community! This week, we’re bringing you a very special guest post from our spectacular concierge at Dreams Punta Cana Resort & Spa. Wenny has some great news to share about the resort’s recent work in the surrounding community. 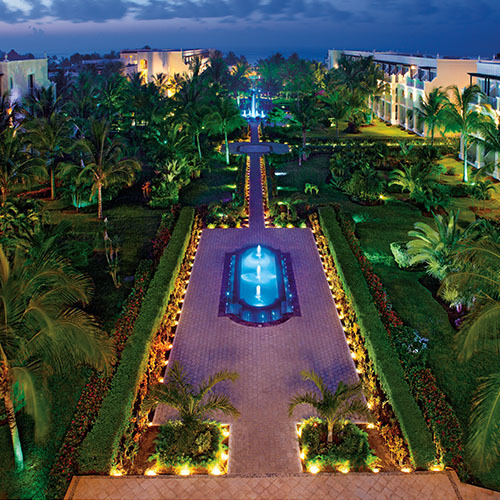 Read on to learn from Wenny about how the staff of Dreams Punta Cana are giving back! As part of Dreams Punta Cana Resort & Spa‘s commitment to sustainability, resort staff participate in a number of philanthropic programs in the community each year. A breathtaking shot of the 44-acre gardens at Dreams Tulum! Smart Water Program: Dreams Tulum management and staff have developed a comprehensive program for the extraction, use, treatment and discharge of water at the resort. This has helped to provide the best quality water for guests and employees. Community Service: Dreams Tulum employees supports its neighboring communities by making monetary donations, by making structural improvements to a local school in need and by providing scholarships to 80 students at the nearby universities. Along with this, they created the Tulum Foundation, which provides full university scholarships to youth from low-income families. We couldn’t be more proud of the resort for their efforts to protect the environment and to help the local community! To learn more, visit Dreams Tulum’s Social Responsibility webpage. At Dreams Cancun Resort & Spa, we offer a fun and luxurious vacation experience for all of our guests. We are proud to offer Unlimited-Luxury© privileges, while still maintaining a focus on measurable environmental sustainability efforts. 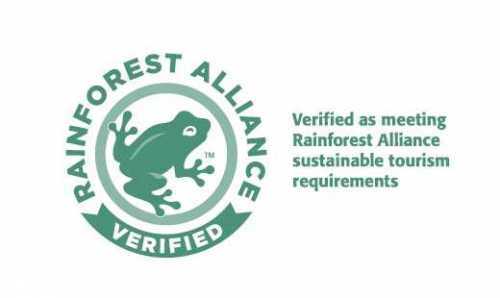 As part of our environmental program, we are happy to announce that Dreams Cancun was recently verified by the Rainforest Alliance for meeting sustainable tourism requirements. This is an exciting achievement for our resort and demonstrates the efforts we are taking to protect the planet and our local community. We look forward to our relationship with the Rainforest Alliance and will continue improving upon the environmental sustainability practices at our resort.